Ranbir Kapoor and Alia Bhatt are dating for quite some time now. Ever since Ayan Mukerji’s Brahmastra went down on floors, Ranbir and Alia have been making it to the headlines for their relationship. In fact, B-Town has been rife with the speculation that the two may be tying the knot in 2020. The latest update is that the two have apparently agreed to appear on Koffee With Karan. Although the two lovebirds have agreed to make an appearance on the show together, they have clearly shown their reservations about the episode’s content. The two have requested Johar to not speak about their relationship. They want the chat to be on the movie Brahmastra, which is produced by Dharma productions. 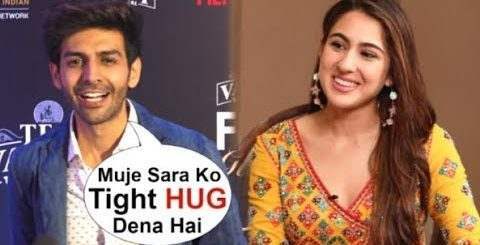 “RK has requested Karan to make it a Brahmastra special episode where both he and Alia will mostly talk about the film and their onscreen pairing rather than discuss their love life. He doesn’t want that to grab any more headlines.”, the source close to DNA revealed. In a GQ interview that Ranbir did a while ago, he almost confirmed his relationship with Alia. He was quoted as saying, “It’s really new right now, and I don’t want to overspeak. It needs time to breathe and it needs space. As an actor, as a person, Alia is- what’s the right word- flowing right now. When I see her work, when I see her act, even in life, what she gives is something that I’m aspiring to for myself”. Talking about Bramhastra, the movie will be Ranbir and Alia’s first film together. The trilogy helmed by Ayan Mukerji also stars Amitabh Bachchan, Mouni Roy and Telugu megastar Nagarjuna.